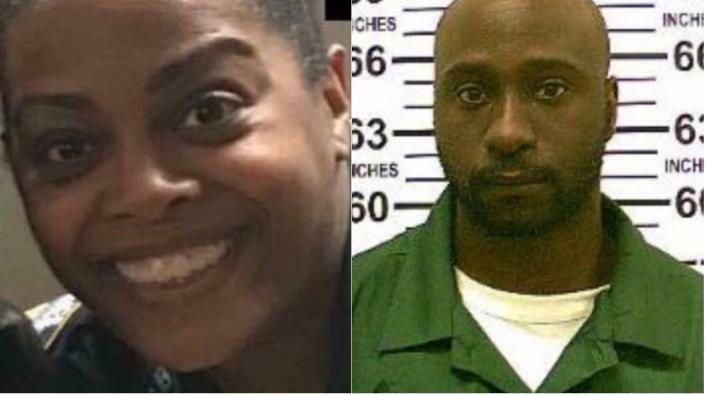 The girlfriend of ex-con Alexander Bonds struggled in vain to get the erratic and paranoid ex-con off the street in the days before his Bronx execution of a veteran city cop. 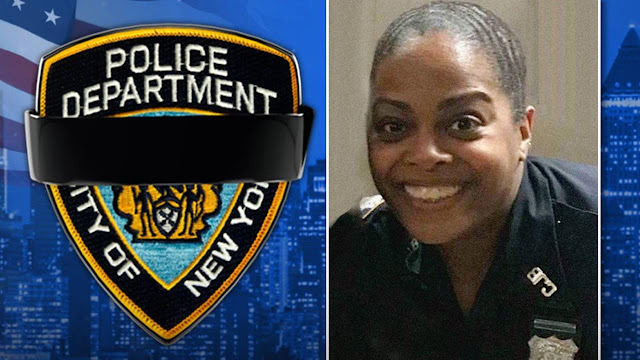 She steered him to a hospital for a spur-of-the-moment July 1 psych exam — and even called 911 multiple times in the hours before the homicidal Bonds assassinated Officer Miosotis Familia, authorities said. While mental illness emerged Thursday as the likely driving force for the murder, Police Commissioner James O’Neill offered a different explanation. “Officer Familia is dead for one reason and one reason only — and that is Alexander Bonds and his hatred of police,” said O’Neill. It was unclear if the career criminal was off his meds when he ambushed Familia, 48, as she sat in the passenger seat of a parked NYPD command vehicle early Wednesday, police said. A police search of his squalid South Bronx apartment turned up potent prescription anti-psychotic and anti-depressant drugs. Police investigators also found Benadryl and a muscle relaxant in Bonds’ second-floor apartment on Rev. James A. Polite Ave. The anti-psychotic was risperidone, typically used to treat schizophrenia and bipolar disorder, while the anti-depressants were identified as bupropion and escitalopram, used to treat anxiety, the sources said. On July 1, Bonds arrived in the emergency room at St. Barnabas Hospital in the Bronx asking for a mental health checkup at the urging of his worried girlfriend. “He was evaluated,” said hospital spokesman Steve Clark. Gov. Cuomo ordered a state probe of the hospital “to ensure all proper procedures and safeguards” had been taken. “This review will determine if all relevant state laws, regulations and guidelines were followed,” he added. Familia was pronounced dead at the same Bronx medical center at 3:30 a.m. Wednesday after Bonds’ premeditated attack. On the Fourth of July, the girlfriend made at least three calls to 911 between 10 p.m. and 10:30 p.m. — asking police to help her loopy boyfriend as he wandered through the Bronx. Asked if Bonds was armed and violent, the girlfriend answered no, said police sources. The woman said he was “paranoid and acting erratically” and asked cops to pick Bonds up. Boyce said the 34-year-old parolee managed to evade officers, eventually hailing a cab with his girlfriend before they split up — and he later resurfaced alone on E. 183rd St. The cop killer, carrying a stolen gun and dressed in black from head to toe, fired a single bullet through the passenger side window of the NYPD mobile command center. A video emerged Thursday showing Bonds as he approached the parked vehicle before firing his gun. Some 300 police officers, many with a black mourning band across their shields, saluted the ambulance carrying Familia’s body when it departed the medical examiner’s office just before 5 p.m. Thursday. “This is going to be a tough one,” declared an NYPD detective before a line of motorcycles pulled out to lead the procession. FDNY firetrucks, draped in American flags, were positioned along the FDR Drive in honor of the slain cop. Mourners who visited the Miosotis home included Patrolmen’s Benevolent Association head Patrick Lynch, Public Advocate Letitia James and Rep. Adriano Espaillat (D-Harlem). There was no official word on funeral arrangements for the first woman killed in the line of duty since 9/11. The last female NYPD death prior to that was 1984. Bonds was shot to death by police after the killing of Familia, a 12-year NYPD veteran, as she worked the midnight tour on a Bronx block known for its recent spate of violence. She just started the shift to spend more time with her two daughters, a son and her 86-year-old mother. Innocent bystander Auscensio Bautista, 28, remained hospitalized after taking a stray police bullet to the stomach. “He’s out of danger, but he still has some pain in his abdomen,” said his Bronx roommate Violetta Gamino. Bautista, who was taken to Lincoln Medical Center, was wounded when two officers fired 20 shots at the fleeing suspect. Cops searching Bonds’ apartment also found six cell phones and a tablet computer, which investigators are poring over for evidence, said Boyce. The murder weapon was stolen from a home in Charleston, W.Va., in 2012, according to a high-ranking police source. Cops were trying to retrace its route to the city and running ballistics to determine if the gun was used in any other crimes, the source said.